The first this pearl ring from the Shane Company. 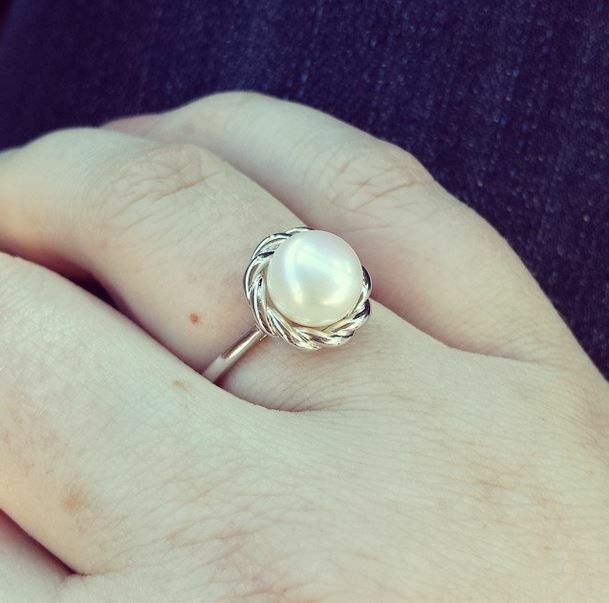 I have worn a “pearl” ring every day for about 5 1/2 years, but this is my first real one. Yes the others were super fake. Yes the others had their pearly paint chip off after a few months. Yes I did still wear them after that would happen, and yes I would make sure nobody got a close look at my hand. I love the simplicity of this ring. It has style that is simple, it is a great size, and it was very affordable. Actually, it was really inexpensive, which is even better! 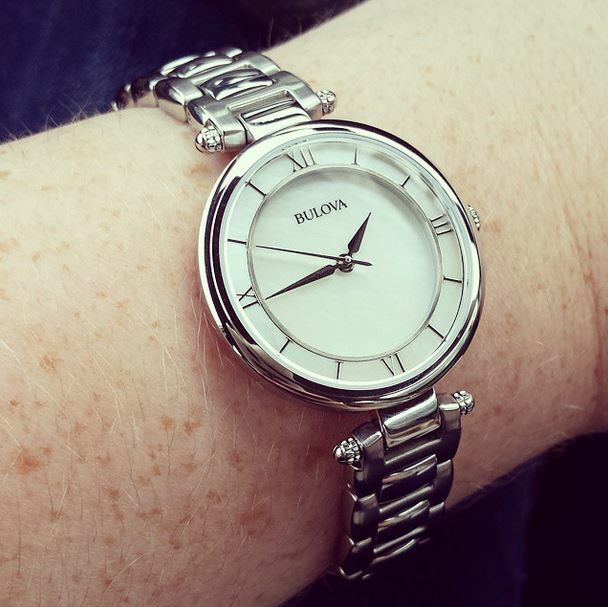 The second is this mother of pearl watch from Bulova, which was a gift from my Grandfather. I actually got to choose the watch that I wanted, and it was not as easy as I thought it would be. I took a year and a half to pick the perfect watch, and I’m so glad that I waited to find this one. The face has a beautiful shine to it in the light (which the picture didn’t capture at all) and I love the roman numerals. The watch itself is the perfect size, especially considering that I plan on wearing this watch every day for many years to come. Don’t get me wrong, I love the big boyfriend watches that have been trendy for the last year or two, but will I want to wear that when I’m 60? Probably not. I love that these pieces are simple enough to wear every day and still leave room for fun accessorizing with necklaces, earrings, and even other rings and bracelets, too!